Last Sunday, took place the Endurance Reg. 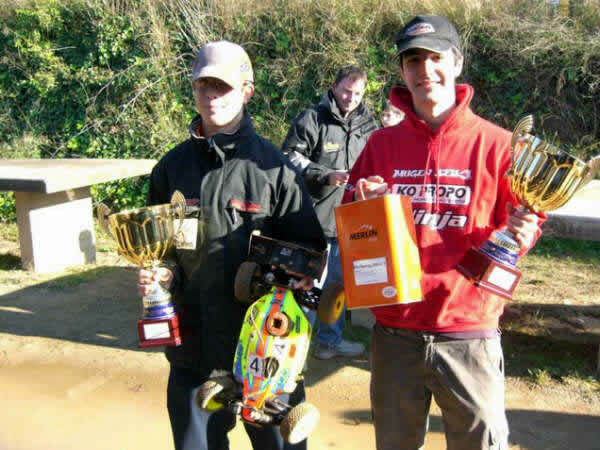 Championships of Catalunya at RACBSA track near Barcelona. 7 teams with 2 members each, took part in the 3 hours non-stop race. The race was quite difficult due to mud in the track that made difficult the driving for the first half of it. Carlos Pineda and Josep Galisteo Managed to refuel over 7:30 minutes with the new Merlin Pro-racing EVO 1, what gave them a good advantage for such a long race. After a fake first start, due to some technical problems, Jaume Figuls/Pedro Villalba took some advantage and they were leading the race. However they lost the leading position in the first relay, when Pineda/Galisteo started to push hard and they maintained the leading position until the end of the race. We have received from France 2 videos about the Merlin Enduro Race that took place recently at Toulouse. In the first video, you can notice that not only the cars are fast. Nos envían desde Francia dos vídeos con la primera salida de la Merlin Enduro Race, que se celebró recientemente en Toulouse y otro con la salida de la segunda ronda de 3 horas después del descanso. Como veréis, no sólo corren los coches. 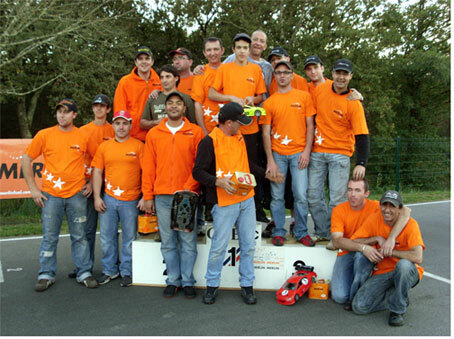 Last weekend took place the Merlin Enduro Race at GTBRCF track in Toulouse. No doubt it was a hard test for cars, engines and also drivers, making 6 hours over the Frech track. Everything was perfectly organized by the GTB Rc Club and the weather was great for a racing day. The endurance race was divided in two series of 3 hours each. Next Sunday, October 26th will take place the «Merlin Enduro Race 2008» in Toulouse – France. It will be a 3 hour Team Endurance Race. 6 teams with 4 drivers each, will dispute the Trophy. The race will take place at “Club GTBRC” track in Toulouse. Last weekend took place the “12 horas de Rubí” endurance race in Rubí (near Barcelona). This is a really hard endurance test, not only for car an engine, but for the drivers as well. 15 Teams, met in Rubí to complete over 13.000 laps to the Track. After just five years, this meeting, is becoming a Rally Game Classic in Spain. Starting the race at 0,00 and finishing 12 hours later, everything can happen. Last weekend the 3 hours endurance race took place at Heemstede (Netherlands). 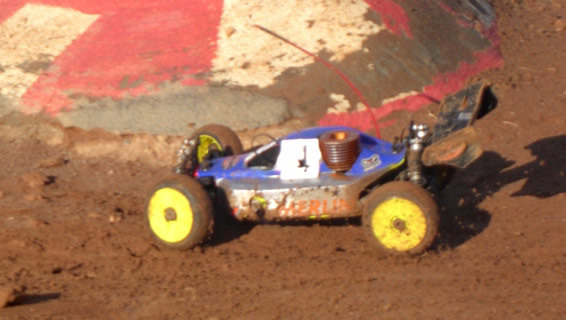 Our dealer in the Netherlands is pleased to inform us that many Teams chose Merlin Fuel to race the event. 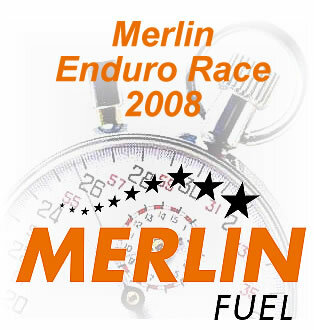 Endurance Races need reliable products and many drivers highlighted the easy and stable tunning up with Merlin Fuel. Danny Leewis took part in the race as Serpent Team 1 Member and Remy Möller as Serpent Team 2 member. The final victory was for Serpent Team 1 (Merlin) and the second place for Serpent Team 2 running both of them with Merlin Fuel. de la prueba. Comenzó la prueba el día 30 de junio a las 0,00 h y se prolongó hasta las 12:00 del día 1 de Julio. Los coches se equiparon con luces para la carrera nocturna. Además de la espectacularidad del evento en sí, se una dura prueba para los coches y sobre todo para los motores.